Keeping your tile and grout as-good-as-new is no easy feat. By employing the help of professional grout cleaning services you can keep your grout looking new and prevent mold, mildew and staining from occurring. When grout is cracked, missing, mildewed, stained, or crumbling,regrouting services may be the best option to restore the look and minimize hazardous health conditions. When grout is severely damaged, water will accumulate and damage the tile substrate, eventually leading to dangerous mold and mildew health conditions often seen in the form of black, red, pink or green discoloration. Re-grouting and sealing the new grout will not only prevent water accumulation and extend the life of your grout and tile. If caulk is damaged, it is important that you quickly fix it yourself or call the professionals. If water seeps behind the tiles, as a result of caulk issues even just for a short period of time, this may lead to large problems and costly repairs. It’s important that you keep tabs on your tile, grout and caulk for holes and openings as they arise so they can be quickly repaired or re-grouted, depending. If your grout is cracking or crumbling, it may be a sign of a more serious problem. For a quick check, tap on the tile and if you hear a hollow sound then the tile has deteriorated and lost their bond, meaning that grout and tile repairs are required. 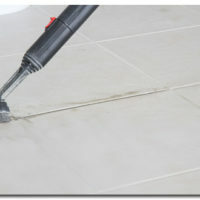 The Grout Medic can handle all your regrouting service needs. 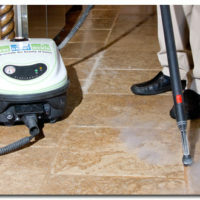 For a free evaluation call 1-866-994-7688 or contact the Grout Medic in your area.